Have you ever struggled to find a gift for someone who has everything? Buying gifts has never been more difficult because not only do we have so much choice but people have much of what they need already, especially if they're of a certain age and don't want for much. Grandparents and a successful boss might fall into this category. But there is always something you can gift them that they will treasure whoever they are. Who is the gift recipient? What is the gifting occasion? What is your gift buying budget? What is the gift giving deadline? What are the gift recipients likes, dislikes, interests, passions? These are the main considerations when buying gifts. Buying a thoughtful gift requires knowledge of the above so you can budget and source a gift you know the gift recipient will enjoy. The gift type will vary depending on the relationship that the gift recipient has with you and potentially the gift recipients own cultural background. For example, you would not buy the same type of gift for a spouse as you would your boss or a neighbor. And if you're gifting a friend or business partner from China, there are certain gifts that would be considered bad luck. (Page down for gift giving etiquette around the world rules). The occasion is all important as often your gift will be 'occasion related' ie wedding, anniversary, Baptism etc. Birthday gifts can be more interest related and so a good understanding of their age and interests, hobbies is very helpful. You may find you need to do a little research. There are lots of resources on line (page down for our money saving gift buying tips) for gifts you can buy or make yourself that don't stretch your budget and yet are thoughtful and unique. If you have a medium to large budget, you will have greater options but you don't want to spend a lot of money on something the gift recipient doesn't like or enjoy. There are occasions when spending over a certain amount would be inappropriate. Such as spending a lot of money on a gift for your employer, or the partner of a friend as it might indicate romantic interest or ulterior motives. It's a fine balance between spending 'enough' but not too much. If you're gifting someone who themselves has little money to spend on a reciprocal gift, you need to be aware an over generous gift (depending on their relationship to you) could make them feel uncomfortable or force them to feel the need to spend an equal amount landing them in debt. Perhaps arrange to 'trade' favors instead of buying gifts. It is very important to be mindful of the deadline for giving the gift especially if you are buying a gift that requires customizing or has personalized details as the manufacture process may take longer. You also need to allow time for delivery and possible return and redelivery if the item is faulty or incorrect. Plan at least 6 weeks ahead for major gift giving occasions. If your gift is going to be decorative, then having an idea as to how this gift will fit the existing scheme of the home or office is essential. If it's too flashy for the decor, too modern or vintage for the gift recipients tastes you may find the gift ends up in a cupboard out of sight. If you do not have this knowledge, avoid decorative gifts. If you do, then a coordinated item that can discreetly blend in is preferable for most. There are questions you can ask the gift recipient themselves or those that know them to find out their special interests. If you are close and you know them well hopefully you already have a good idea what they might like. Ideas for interest related gifts. Find out who their favorite author is. Is there a particular book on their wish list? Is there a first edition they might treasure? You can add an inscription, obtain an autograph to make it extra special. What music do they like, who are their favored bands, composers, artists? Research latest releases. Do they have a favorite artistic style, enjoy wall art - consider a poster, print, original painting, word art in a style you know matches their decor and taste. Who are their favored fashion designers, high street stores, online shops? A gift card or carefully sourced gift from one would be very welcome. Do they collect anything? Can you add to their collection with a desired collectible or book about their interest? Do they enjoy theatre, movies, leisure , sport activities? Consider tickets to an event, experience day type gifts. Spa days are very popular among men as well as women. We all need to de-stress and be pampered now and again. If that's too costly, how about a spa day gift basket? If you're crafty there are lots of great books in the library or youtube tutorial videos on how to make handmade gifts. If budgets are tight how about giving 'trading favors' vouchers. You might offer to mow their lawn and they might offer to make you a delicious cake. Whatever your respective skill set is you can use it to help out your friends or family members without spending money on gifts. Personalized gifts are always a good idea (needn't be expensive either prices start from under $5!). Your gift recipient might enjoy a nice set of monogrammed hand towels, a photo watch, named water flask and so on. 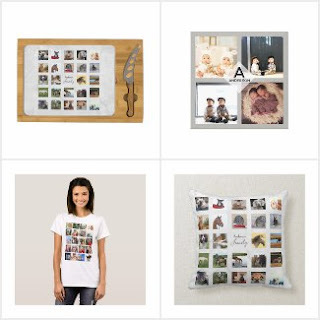 See ZAZZLE for their amazing range of personalized gifts. 100% money back guarantee. Do not buy alcohol as a gift unless you're certain they drink it and know what they like. Do not buy food as a gift if you're unsure about vegan, vegetarian, food allergies etc. Be mindful that some people only welcome ethical, vegan gifts and would not appreciate anything made from animal products. Eco conscious people may also have gifts on their list they would not welcome. Cultures have differing rules about gift etiquette - page down to view the main ones. Do not buy a boss, co-worker, employee, ex a gift that could be construed as a romantic gift. This would include items such as perfume/aftershave, jewellery, obviously NO lingerie. If you'd buy it for your spouse (as a romantic gesture) do NOT buy it for an acquaintance. Your spouse won't be happy and the recipient will be confused. After reading the above you might wonder what you can buy! Don't worry there are lot of safe gift options. You may not know very much about your gift recipients interests and tastes in which case you can play it safe with a themed gift basket. You really can't go wrong with these. There are so many to suit every occasion and taste, they take the hard work out of buying gifts. And of course they look super. They are a classy gift and say the same about the sender. They are also nolonger just food, wine, cheese and chocolate related. You can get sport, movie, spa, garden themed gift baskets to name a few and gift cards with a general theme are always welcome. Put the gift card inside a small gift nicely wrapped gift box to make it a little bit more special. You can pad the box out with gift tissue paper and lay the card on top. The gift recipients relationship to you is all important. You would not for example buy the same gift for your boss as you would your spouse. There are gifts that could be considered inappropriate for some and yet the same gift is highly desirable by others. This is why gift etiquette is important, you need to get it right. A gift for a boss or a co-worker (assuming they are not family or close friends) would have an impersonal feel to it, perhaps a corporate edge. It would be formal and not too 'touchy feely'. You would not for example buy perfume and red roses for your female boss or a co-worker. They would get the wrong impression or the right impression if you are trying to tell them you love them. Funny work related gifts or personalized office supplies are an excellent gift choice for boss and coworkers. Gift Sales - Buy end of season for the following season! The stores I favor ( ie Zazzle) often have gift and accessories sales as high as 60% OFF so it is definitely worth keeping an eye out for a sale on the gift item you're seeking, even if the event or holiday season is a while away. I always take advantage of gift sales myself. I buy many of my Christmas gifts for example in the January sales, eleven months early! The saving on Xmas decorations and so on can be especially huge, simply because they are now out of season. For example, I buy Christmas cards, crackers and gift wrap in the January sales for the following Christmas. Discounts maybe as high as 80%. You also often find stocking filler type gifts brought into stores just for the Christmas period massively discounted as the store doesn't stock such items the rest of the year. Items such as beauty gift sets from your local pharmacy and so on. I do the same re seasonal clothes. I buy them during the sales when they're out of season for the following season. Some styles are timeless so I can still be fashionable. :) Big savings can be made buying winter coats in Spring and buying summer beach wear holiday type clothing in Autumn. Be a savvy shopper and you will save a fortune! It's not a good idea to buy perishable gifts such as food items out of date, not if you're planning on keeping them for several months more. Chocolate that is out of date or has had a long shelf life can tend to get that white cocoa appearance to it. Allegedly it doesn't affect taste though doesn't look great. You can also save money on gifts by taking advantage of 'unwanted' gifts that find their way into charity or thrift stores and shops. You can find brand new gifted items in these stores, often complete with original product wrapping and tags. They are new, unused and massively discounted. You will even find top brand items. In the West gift giving rules and gift etiquette tend to be restricted to price, relationship to the person and the occasion. Red roses as a bouquet gift are for those we are romantically involved with only - a dozen on Valentines day or as a single. Giving PETS as gifts is highly frowned upon and to be discouraged. Perfume and Jewelry gifts are suitable for friends, family, partners - NOT work colleagues, bosses or business associates, neighbors etc. Any great expense or 'intimate' seeming gift would leave a 'periphery acquaintance" uncertain of your intentions or feelings towards them. Your gift could be grossly misinterpreted. We do not give gifts at funerals - but we do send sympathy cards and flowers and wreaths to the home of the deceased's family or funeral parlor. We may also giver close friends and family memorial gifts. We consider a cash gift as lacking thought (though this is becoming more welcome especially amongst marrying couples and the younger generation). A Gift Card is a more acceptable alternative. Flowers are sent as gifts by way of congratulations, sympathy or thanks or to celebrate a 'day'. Different flowers will mark those different occasions. Your florist will know. It is polite to write a thank you note after receiving a gift. Gifts are gift wrapped with a gift tag or other identification. Price tags are removed from gifts. Some now issue receipts for the recipient to 'return' the gift if desired. I personally do not agree with returning gifts or this practice. We generally gift on the following occasions: Birthday, Religious Holiday, Mother's Day - Father's Day etc, Wedding Day, Valentines Day, New Home, Graduation, Retirement (co-worker), Leaving gift (co-worker) ..this seems like an endless list of gift giving opportunities! Start saving. Gifts (including monetary tips) from customers to service personnel are generally not allowed and have to be refused - work rules! Some establishments don't mind, these tend to be restaurants (tips), salons and similar. If the gift was of high value, it would almost certainly be refused. Homemade food gifts would be a no-no for anyone other than family. The food may contain ingredients the person is allergic to or they may just not 'trust' that the food is safe to eat. Giving religious items to a non-religious person is a big no-no. Clothes that are too large or too small - big faux pas! Real fun, snake-skin, crocodile skin etc. frowned upon and illegal in some cases. Re Different Cultures - Avoid gifts of food, drink, flowers, number related and do not give anything sharp such as scissors or knives. Different flowers and their colors represent different things to different cultures. Sharp items generally refer to severing of ties in those cultures that consider such things. Alcohol is of course a no-no in many cultures and food items such as pork or beef could also be very unwelcome as can cow hide bags and so on. When giving a gift also consider what that country or culture is famous for. Do not give them something that could offend their national pride. Avoid political, sexual, religious, illegal anything gifts, or joke gifts or t-shirts displaying anything pertaining to these no-no's. Chinese Gift giving etiquette and practices, the main considerations are: No clocks, no black or white gift wrap, no red ink writing on cards etc. and no handkerchiefs'. These things are considered reminiscent of death, illness, sadness and so on. Also avoid socks and shoes as gifts. Avoid giving white flowers, lilies, lotus blossoms, camellias and potted plants as gifts - these are associated with sickness and death. The numbers '4 or 9' appearing in a gift is unwelcome - though less so among the younger generation. No red cards as this is the color for Funeral notices. Koreans have particular practices - read about those here. Avoid anything with the number '4'. Saudi Arabia has multiple rules of what is acceptable and not acceptable and certain things are not allowed at all. Obvious no-no's re gifts would be anything to do with or giving reference to: alcohol and pork. Less obvious may be a t-shirt with writing or graphics which could be considered sexual, provocative - offensive to their religion'. Avoid anything political, sexual, derogatory, religious when giving gifts. When receiving gifts, it is rude to refuse. Do not open the gift in the presence of the gift giver. No flowers for women! Personalized gifts are tops and here's why! They're Unique, Wonderful Keepsakes And Cheaper Than Ever! 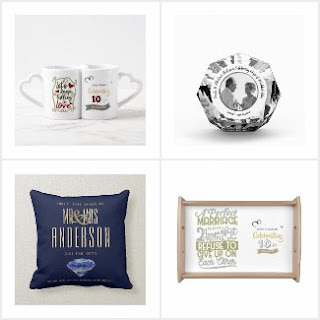 Personalized gifts do not cost what they used to before technology caught up and now you can pretty much have anything you like personalized at little over the original item price. And the tools for personalizing gifts yourself online are easier to use than ever. 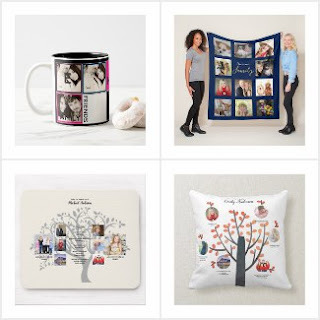 Combined this makes personalized gifts the best gift choice and here's why. If the gift has been personalized with precious family photos capturing special moments or feature a personal message then the gift has great sentimental value. This is especially true for personalized memorial gifts, wedding anniversary gifts and retirement gifts. 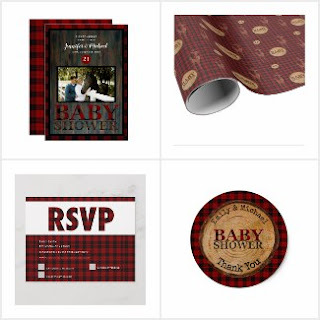 Many gifts you can have personalized today are also practical and as such dual purpose. For example you can have tea towels personalized with family photos or a chic family monogram, family crest, a picture your grandchild drew. A tea towel bought on the high street with no personalization features will be quickly forgotten along with who gifted it, but add the personalised features and it will be treasured like no other. We have a whole house (almost) of practical gifts you can personalize here. It doesn't matter whether you are a child, adult or a retired person, we all love gifts which have our name on, photos of our pets, children, family and more. We like things that are familiar, that trigger warm fuzzy feel good vibes. Some personalized gifts are a blank canvas and you add your own design however you can also find lots of wonderful themed and special occasions gifts which have designs on them already. They have template fields for you to add your personal details. The designs are created in many cases by talented designers who will be happy to assist you with bespoke refinements. If you're not convinced pop along to Zazzle and read their reviews!